Police have warned dog owners to keep their pets on a lead when walking in the countryside after five dogs have been shot dead. The five dogs were shot for killing sheep and unborn lambs in two separate incidents. The first happened around 2pm on Thursday January 19 at a farm in Lower Shuckburgh, Daventry and was shortly followed by a second attack less than 24 hours later, in Ladbroke, Leamington Spa. But PC Mike Barnett, dog legislation officer for Warwickshire and West Mercia Police, said the farmers were ’well within their rights’ to do so. He added: "We are at the very beginning of lambing season and we are already starting to have problems with dogs. "To lose sheep and unborn lambs has a big effect on farmers’ livelihoods. To lose a loved pet causes huge upset for dog owners too. Saw four separate pet dogs off leads chasing pregnant sheep yesterday. "All it takes to avoid this distress is to keep dogs on leads and make sure they cannot get out and run loose." It came following a similar incident on a farm in North Mundham, near Chichester, on Sunday (January 22) where a young Doberman was shot, and another on a farm on Alcester Road South, Birmingham on January 5 where two dogs were shot. Dorset Rural Crime Team have also sent out an appeal following a sheep worrying attack on Monday (January 23) where 300 sheep were chased into a corner by a black Spaniel. It is thought the dog was accompanied by a man of a 'large build'. PC Claire Dinsdale said: "I am appealing to anyone who may have seen or heard anything suspicious in the area at the time to please contact police. 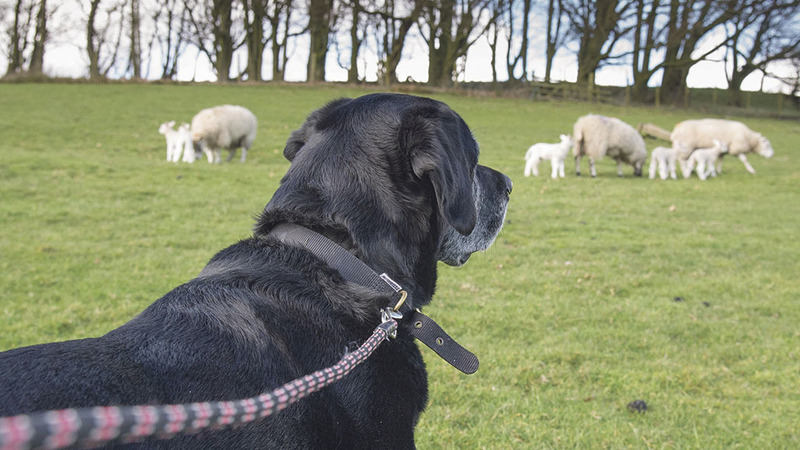 "Sheep worrying is a crime; dogs should be kept on a lead when near livestock." Anyone with information has been asked to contact Dorset Police on 101 and quote incident number 23:410. Alternatively contact via email on 101@dorset.pnn.police.uk.